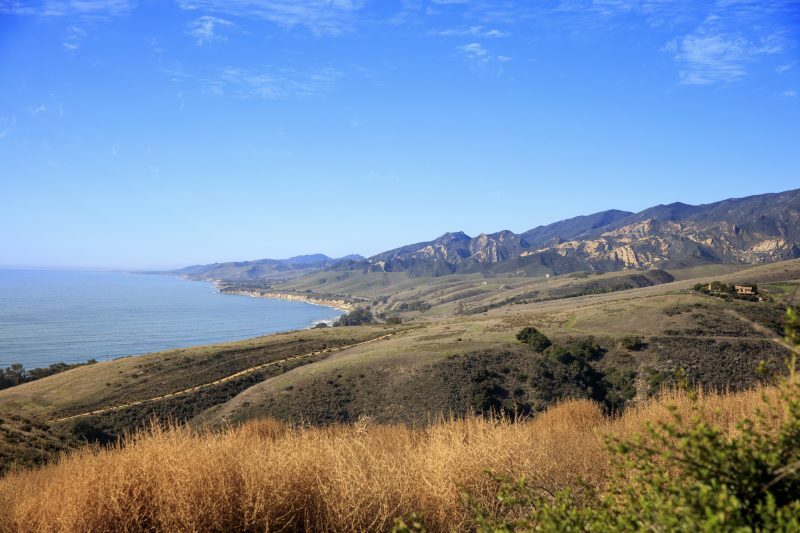 El Rancho Tajiguas, an approximately 3500-acre ranch on Santa Barbara’s Gaviota Coast, recently came to market for $110 million, representing an opportunity to own a huge slice of valuable real estate. Ownership of the parcels comprising Rancho Tajiguas is held in corporate subsidiaries that are controlled by TAG Group Limited which is presided over by Mansour Ojjeh. TAG Group Limited owns and operates TAG Aviation and the TAG London Farnborough Airport. TAG Group Limited formerly owned the luxury watch brand TAG Heuer, and currently holds a 15.9% interest in the British car manufacturer McLaren Group and its Formula One racing team. Mr. Ojjeh was involved in the original acquisition of Rancho Tajiguas in the early 1980s, and the TAG Group’s subsequent purchase from John Travolta of a 16-acre parcel located in the ranch’s central valley which is improved with a historic adobe hacienda designed by prominent architect George Washington Smith in the 1920s. The TAG Group has always been actively involved in the agricultural and residential development of Rancho Tajiguas over the years, and all of the development activities have been implemented to the very highest, state-of-the-art standards. Rancho Tajiguas is not being used and enjoyed as frequently by the TAG Group as was the case in the past, and thus the decision to sell. The hacienda is not included in the present offering. The property includes two Spanish style villas. 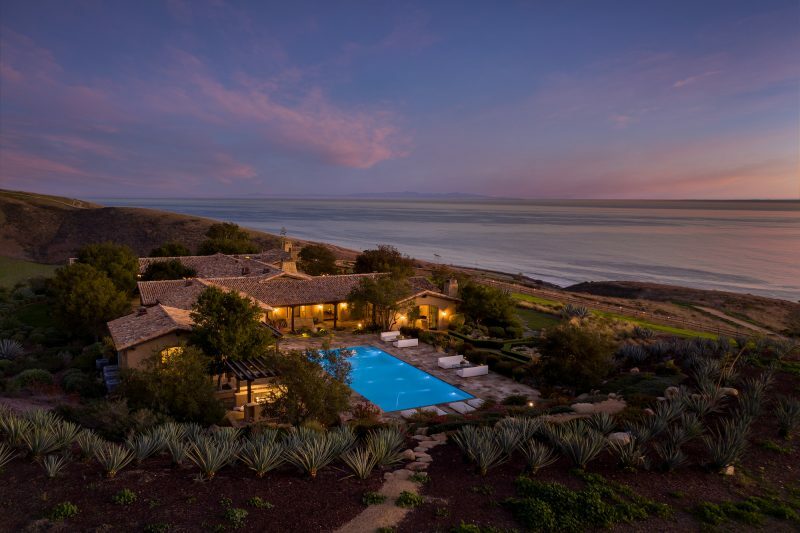 The ranch includes two ocean-facing Spanish-style villas — one 10,00 square feet and one 12,000 square feet. Both feature five bedrooms, guesthouses, swimming pools, theaters, wine cellars and helipads. 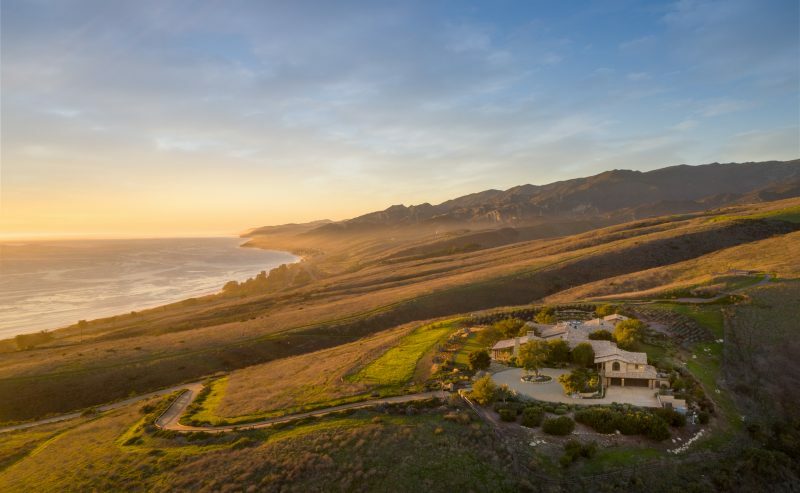 The property includes as many as 20 additional structures, including a house for the ranch manager, staff and farming equipment, as well as hundreds of acres of avocado groves, a persimmon orchard, active cattle rangeland and 120 cows. 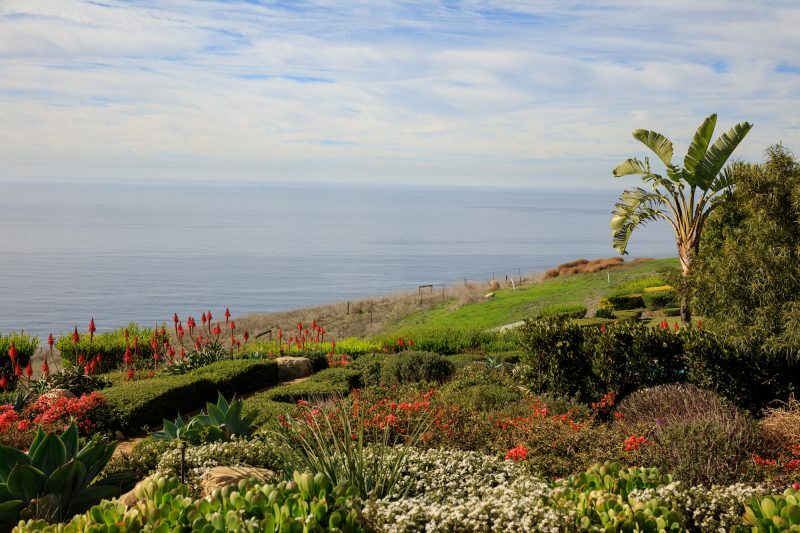 Additionally, a 16-acre parcel that included a small 1920s-era hacienda from actor John Travolta was added in 1988. Listed with Marco Naggar and Aaron Kirman of Compass and Randy Solakian of Coldwell Banker Global Luxury. All photos by Matthew Momberger.